ORIGINAL DAYCO HIGH TENACITY 1.8 TDCI 1.8 TDDI TRANSIT CONNECT FOCUS MONDEO SMAX GALAXY 1 X DAYCO TIMING BELT 1 X DAYCO TENSIONER 1 X FAHREN WATER PUMP 1 X FAHREN WATER PUMP GASKET COMPLETE ASSEMBLY PLEASE NOTE THERE ARE POSSIBLY TWO BELTS ON THIS VEHICLE I ALSO HAVE THE LOWER BELT KIT AVAILABLE IN DAYCO HIGH TENACITY O. E BELT AND TENSIONER IN ANOTHER LISTING PLEASE SUPPLY REGISTRATION TO CONFIRM YOUR VEHICLE MANY THANKS JASON TRANSPART UK. 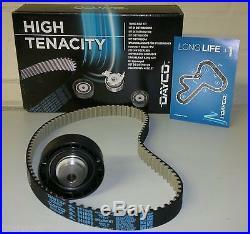 The item "FORD FOCUS MK1 MK2 1.8 DIESEL TDCI TDDI TIMING BELT CAM BELT KIT WATER PUMP" is in sale since Wednesday, July 12, 2017. 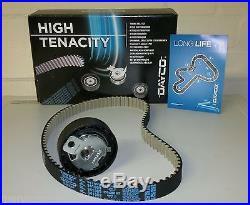 This item is in the category "Vehicle Parts & Accessories\Car Parts\Engines & Engine Parts\Pulleys & Tensioners". 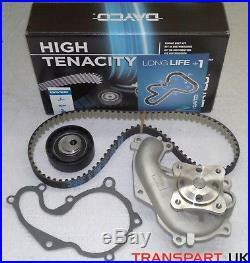 The seller is "transpart-uk" and is located in PONTYPOOL, Torfaen.